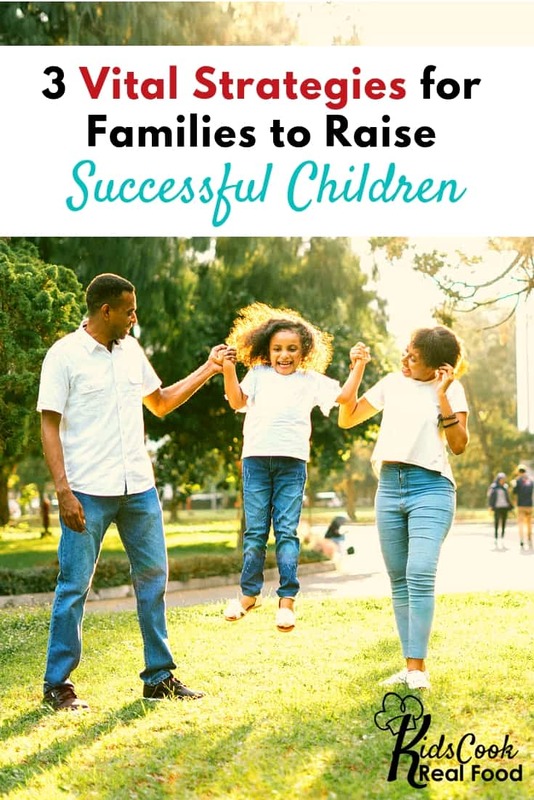 We all want to raise successful children — not just in the kitchen, but in life! I’ve had over 34 “kid years” of parenting experience and I invite you to learn from our successes and failures along the way. These are simple ideas…but not always a cinch to implement! No time to watch the whole video? Here are the notes! 2:46: We want to have high expectations for our kids. Most kids will never reach higher than we expect. We want to let them know that they have almost unlimited potential. There’s a fine line here. 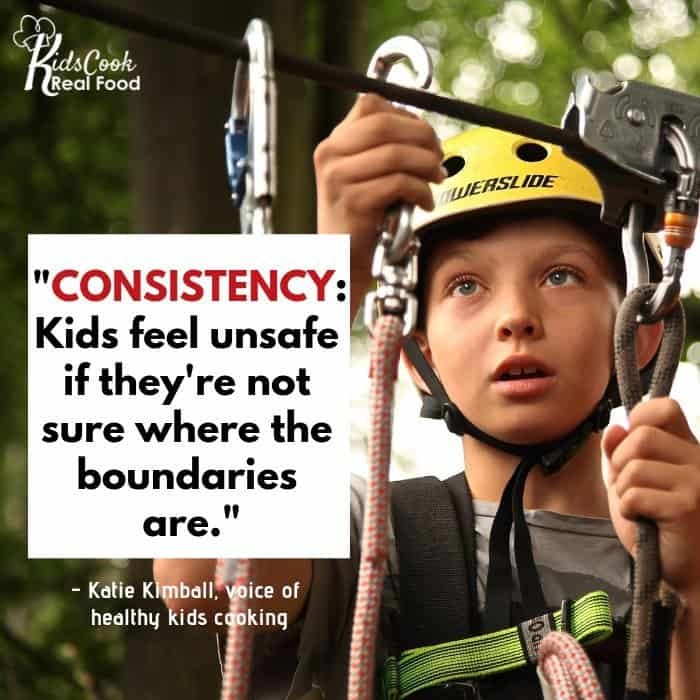 We don’t want our kids to think they can do anything because they can’t and we don’t want to set them up for disappointment, but we want to allow the space for them to thrive and reach for their goals. 3:27: There’s a difference between high expectations and a high achieving mindset. We should allow our kids to fail because they will learn from these experiences. We can’t pave the way for everything to be easy for them. This is not how we raise capable, independent adults. 5:11: Since the 1980s-1990s and onward we have had a very high achieving mindset prevalent among parents where there is a push for kids to get more achievements, more skills and experiences listed out on their transcript to get into a good college. That is not what I’m talking about when I say high expectations! 6:07: Giving kids high expectations means allowing kids to understand that we’re going to give them the space to figure out where their talents, skills and qualities lie. 6:25: Listen in here for some examples of high expectations for kids including one for the dinner table. 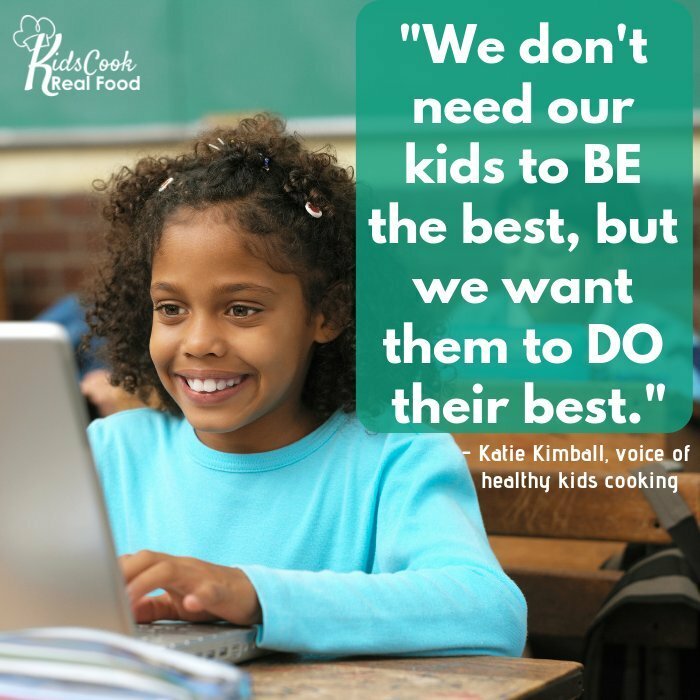 Read more about having high expectations at meals here. 9:08: High expectations are often about: letting kids make their own decisions, letting them try and fail and letting them understand that we expect a lot of them. 9:18: There’s a huge difference in expecting kids to be the best which may be pushing them beyond their limitations versus doing their best which is challenging and achievable. 13:30: All the parenting books tell you that consistency is key. Here is an extra reason for you to be consistent that will save you brainpower! It’s not just a gift to your kids, it’s a gift to yourself as well. 16:18: Kids have to know that you mean what you say or else they continue to push the boundaries and take control. 17:15: We do want to make sure that we don’t consistently hold on to something that is not serving our kids or our family. When you realize something is not working, be humble enough to admit that it isn’t working and figure out a new policy to be consistent with. 18:43: It’s stressful for kids to not know where the boundaries are. If boundaries are shifty then the kids can’t be sure what boundaries are firm and which aren’t. Boundaries should be a little bit wider than where the kids actually are, but not so wide that they can’t see them. 20:02: Successful child can be defined however you want it to be. I hope your definition is not based on achievement. I consider successful being kind, generous, faithful, independent, having good life skills and knowing how to make good decisions. 21:16: Our third strategy is repetition. We don’t learn things well on the first try. The more you practice the better you get. Are we giving our kids the repetition necessary to cultivate life skills? This obviously applies to learning to play a sport or instrument, but it also applies when our kids are fighting and need to practice conflict resolution and kindness. 22:55: A few years ago I learned this lesson of repetition the hard way. I was getting certified in scuba diving with my husband and oldest son. It was an incredibly difficult process and we felt so great when we finished! A few months later we had an opportunity to go for a dive and practice our skills. We did some review before we went down, but we didn’t go over everything and we almost had a crisis situation! 26:55: At some point we won’t be able to hover and take care of our kids so we can’t always be the mom who is running after our kids and pulling them back. If there are skills we want them to have in life, we need to make them part of their lives. 27:08: If you’re teaching your kids to cook that’s great, but make sure you give them opportunities to practice throughout the week. Otherwise you’ll need to reteach every time. 29:38: You can even use technology to help you remember this. Set a notification on your phone to remind you to practice certain skills.